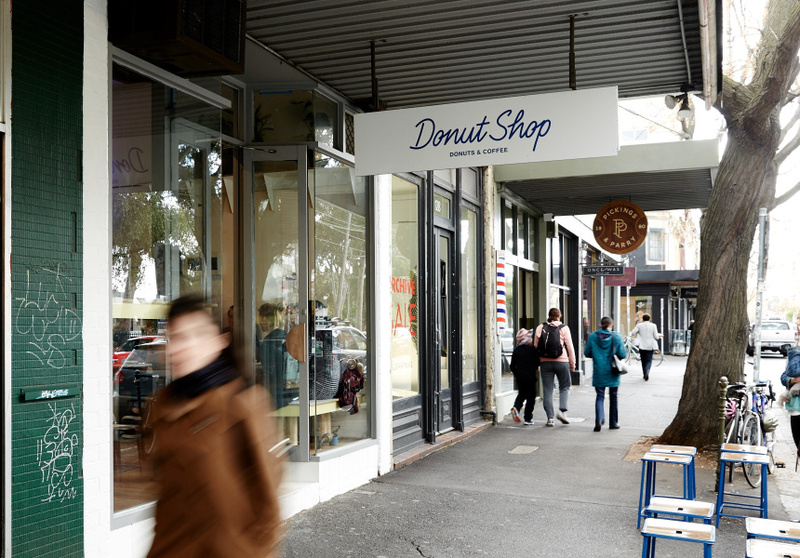 For a while, there were doughnut stores in Brunswick, Carlton, the Queen Vic Market, the city and South Melbourne. 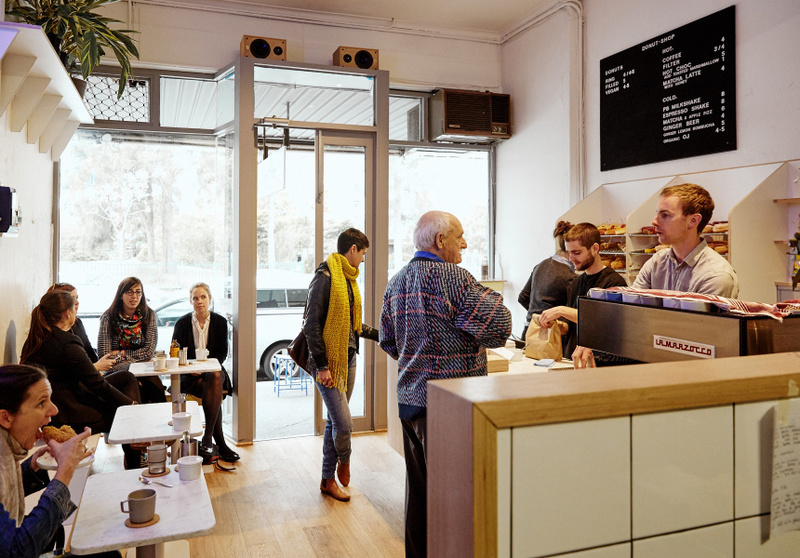 Yet in Fitzroy, the hipster nerve centre, where you’d think there would be many doughnuts – there were none. 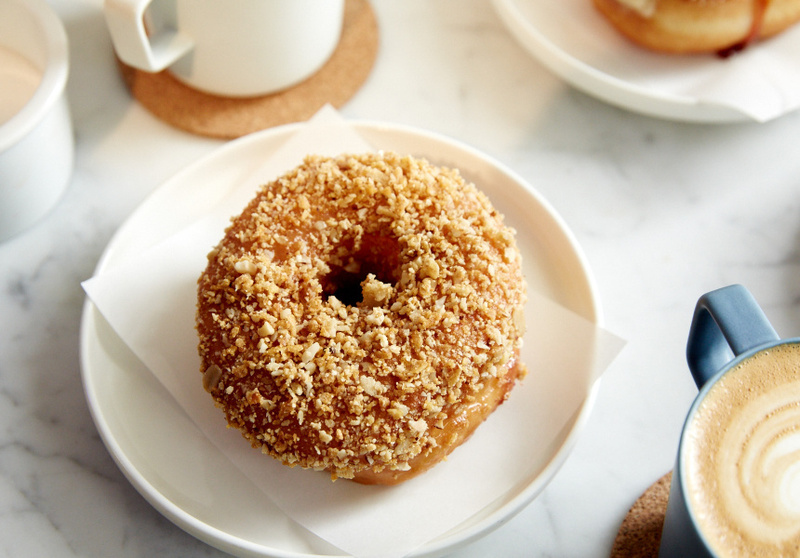 Filling that geographical doughnut hole (we suppose, like some kind of delicious doughnut filling) is Donut Shop Coffee & Donuts. “Donuts” is in the name twice, because that’s really what it’s about. Run by Lydia Wegner and Pat Breen, the same duo behind Shop Ramen on Smith Street, the pint-sized Donut Shop can seat maybe seven or eight inside (if they don’t mind squishing), with stools lined up outside for good-weather days. The doughnuts range from beginner levels (there’s a classic cinnamon ring) to advanced. The matcha and white chocolate, for example, is no small undertaking – it’s smothered with sticky chocolate, topped with biscuit crumbs and filled with green-tea custard. A fun number is the Pina Colada brulee – a festive filled doughnut topped with a piece of grilled pineapple and a glacé cherry. There’s a rotating vegan option, too. Drinks-wise: the bright-green matcha-and-apple-fizz concoction, served in a tall glass with heaps of ice, is a perfectly refreshing foil to the sugar rush. Alternatively, if you can push your richness intake even further, there’s a peanut-butter or an espresso shake.